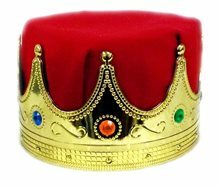 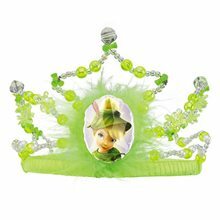 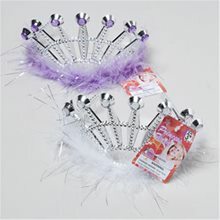 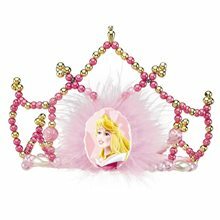 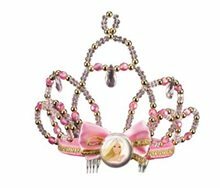 Snow White Tiara Perfect for the birthday parties and dress up parties this Snow White Tiara is 3.25 diameter in size so should fit any child head. 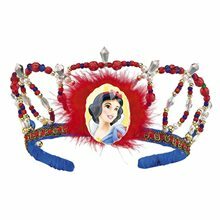 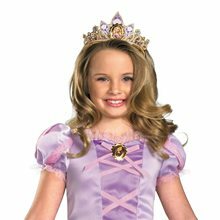 Disney has out done themselves this time with the Snow white Tiara the beaded tiara with character cameo attached in the front will complete your Snow White costume. 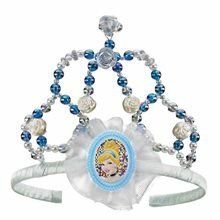 Belle Fantasy Tiara For Dress Up;Belle fantasy tiara for dress up. 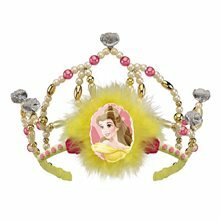 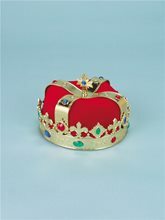 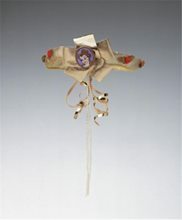 Tiara has hanging ribbons and beads on back and gold bow with Belle jewel. 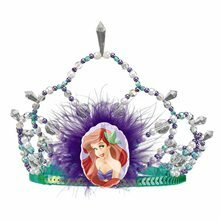 Also has roses around tiara.